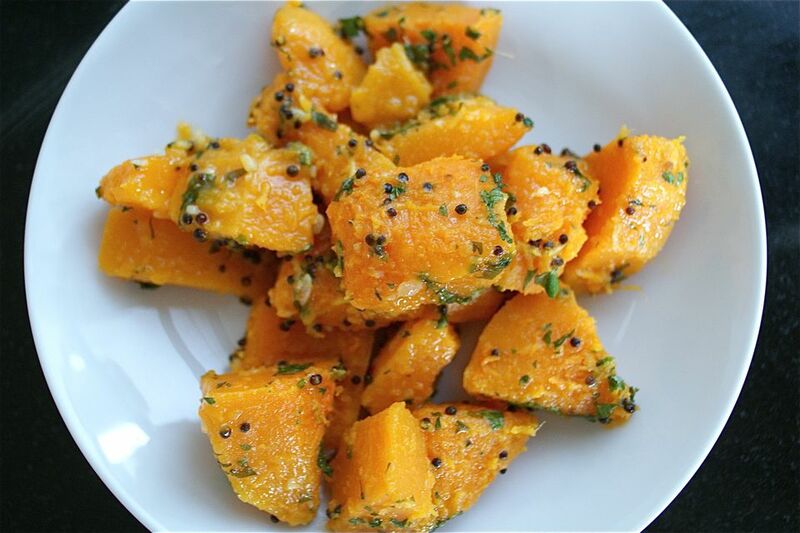 Butternut squash is the queen bee of winter squash. Why does everyone love it so? Color and taste, to be sure, but its rind is also easier to cut through and peel than many squashes, and its textureless fibrous or stringy. In short, it's the gateway squash: the squash for people who aren't so sure they like squash. This stir-fry takes full advantage of butternut squash's sweetness and leaves its luscious texture intact, ready to savor. That said, if you have a different type of winter squash on hand—acorn, delicata, hubbard—feel free to use that instead. Getting chunks of peeled winter squash is the key, and other types of squash are definitely more work to peel. Once it's peeled, cut the squash in half lengthwise. Use a large spoon to scoop out the fibrous "guts" and seeds. Discard the "guts," but know that you can roast the seeds just like pumpkin seeds if you like. Chop the squash into bite-size pieces and set aside. Peel and finely chop the garlic; peel and finely shred or grate the ginger. Set both aside together. In a large frying pan or pot, heat the oil over medium-high heat. Add the mustard seeds, cover, and cook until you hear them "pop," about 2 minutes. Add the garlic and ginger and cook, stirring, until opaque and fragrant, about 1 minute. Add the squash, salt, and 1/2 cup water. Stir to combine, cover, and cook, stirring occasionally, until the squash is tender, about 15 minutes. Add a tablespoon or so of additional water, if necessary, to keep the squash from sticking to the pan. Add the cilantro, if you like, and stir to combine. Serve the squash hot or warm, and know that it keeps warm nicely if covered with foil and set in a warm kitchen, making it a good choice for the holiday table or other entertaining scenarios. Golden Fried Tomatillos—Bright, Crunchy, Yum!